Booth University College pleased to announce that Dr. David Cwir will be joining our faculty as an Assistant Professor of Psychology. Dr. Cwir holds a PhD from University of Waterloo, 2011 and a BA (Hons), University of Manitoba, 2006. After Dr. Cwir completed his PhD in Social Psychology at the University of Waterloo, he attended a Christian School of Ministry at Bethel Church in Redding, California. Upon completion of his ministry training, Dr. Cwir accepted a tenure-track position as an Assistant Professor of Psychology at Tyndale University College in Toronto, Ontario. Prior to joining the faculty at Booth University College, Dr. Cwir planted a church with his wife in Ottawa, Ontario where he served as a Pastor for over two years. Dr. Cwir’s research interests focus on the psychological processes involved in the very beginning stages of social relationships. More specifically, his research examines the factors that result in a sense of social-connectedness with others and the various cognitive, emotional, and physiological consequences of that sense of connectedness. 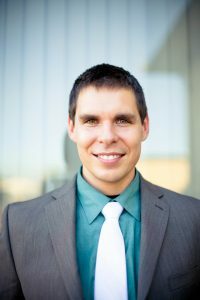 He has received numerous academic awards and scholarships from agencies such as the Social Science and Humanities Research Council of Canada and Natural Sciences and Engineering Research Council of Canada, and he has articles published in the Journal of Experimental Social Psychology and the Journal of Personality and Social Psychology. We look forward to his arrival on campus in July, 2018. Previous: 2018 Spring Convocation is Sunday, April 29, 2018!